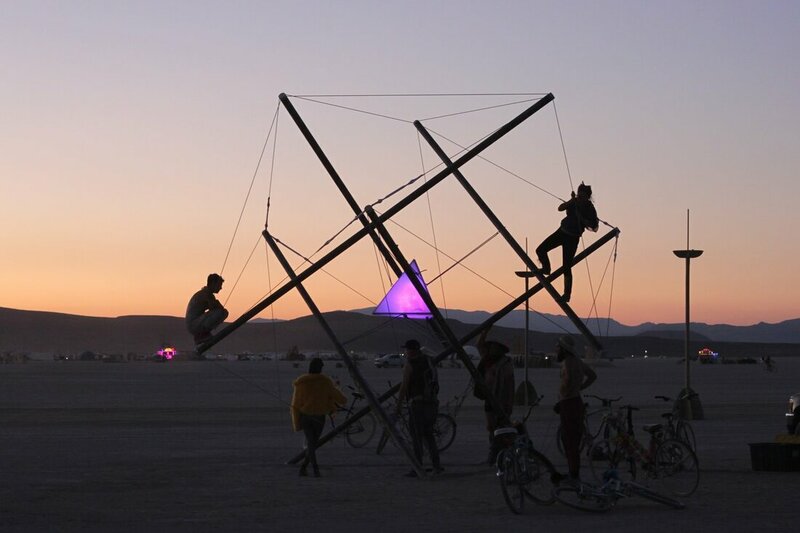 Intension is a large scale interactive tensegrity sculpture created for Burning man 2016, a week long art festival hosted in the Nevada desert. Intension explores the unique structural and aesthetic qualities of tensegrity architecture. Inspired by a eukaryotic (nucleus bearing cell), the same type of cells humans are made of, the sculpture features six steel struts held in alignment through tension and compression and a suspended nucleus filled with a reactive lighting system. 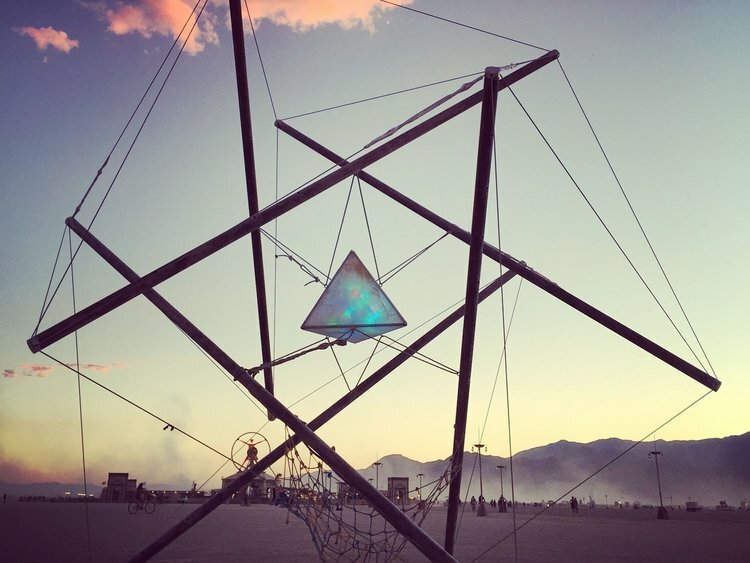 By day Intension reveals itself as a series of silhouetted lines suspended against the desert backdrop framing a triangular pyramid in it's center. 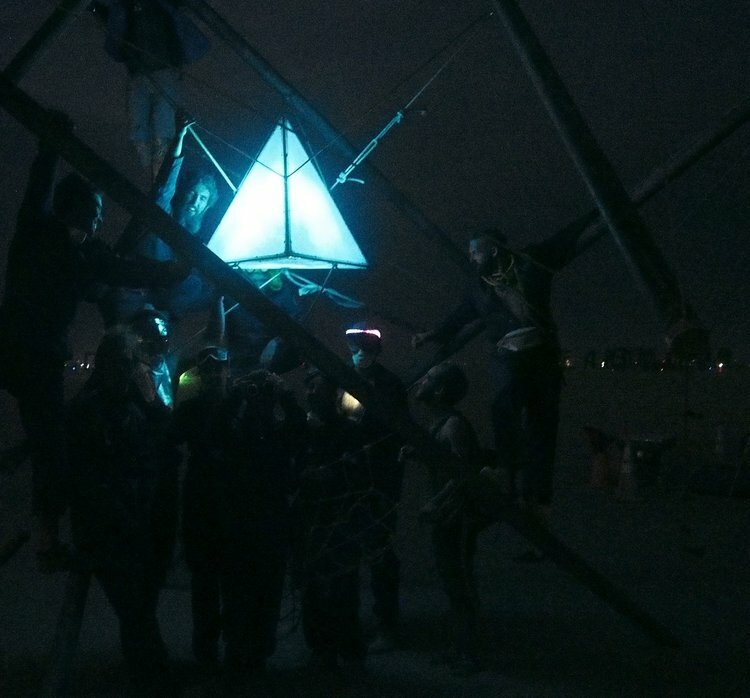 ​By night Intension attracts participants with playful light animations from it's nucleus that react to their sounds and the music of passing art cars.